Debt is bad for governments but builds character for students. The progressive tax system, which is how we pay for lots of things we think are important, doesn’t exist. Public education can be simultaneously a human right and the ultimate in gold-plated decadence depending on your age. Everyone paying for something separately, regardless of their personal situations, is somehow more efficient than paying for the same thing collectively. Universal access turns us all into dance majors or architects or (insert any profession you believe to be less useful than any other). Zero tuition is the exception, not the norm. In fact, the status quo is very far from being acceptable. There are long-lasting effects of graduating a generation into debt, including depression, wage scarring and the postponement of major life decisions, all of it exacerbated by an underemployment crisis and the rise in precarious work. Provincial loans and grants aren’t cutting it, tax credits are applied months after tuition fees are due (and are of greater benefit to those to who make higher incomes), and RESPs are inefficient, expensive and poorly targeted, disproportionately benefiting those who are already in a position to save the most money. Free tuition offers a compelling alternative and is an important first step to a much more equitable and accessible system, but we have to get past the standard counterarguments first. Where is our return on investment? There is no question that paying back the cost of an education through a progressive tax system is more efficient and flexible than paying it back through a private loan repayment program. Graduates, particularly university grads, generally find better, more stable employment and make higher incomes, which results in their paying more taxes, which means they eventually “pay back” the cost of their education—in some cases many times over. My concern with the “return on investment” argument is it provokes the question from detractors: What happens if you can’t prove that in every case, dollar for dollar, the public gets its money back? Surely a commitment to universal public education shouldn’t hinge on the guarantee it will be revenue neutral or even revenue generating. The return on investment argument is also rooted in how we choose to compensate certain professions and certain kinds of work over others. So by this narrow measure, training architects, engineers and lawyers, for example, is a much better societal investment than, say, artists, child care workers and librarians. Given that eliminating tuition fees will require public investment, and the “return on investment” rationale is convincing for many people, I’m not suggesting we discard it, but perhaps that it should not be the first line of argument. Economies are elastic, which means you can afford to fund all sorts of things if you prioritize them and make smart decisions accordingly. 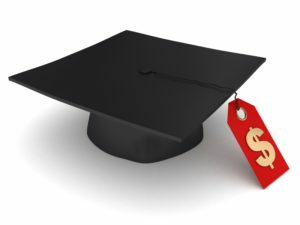 The CCPA’s 2016 Alternative Federal Budget estimates that eliminating undergraduate tuition fees—as a first step–would cost about $3.3 billion annually. You could find that money easily by eliminating the poorly targeted and inefficient system of RESPs and related incentives ($1 billion), and cancelling family income splitting ($2 billion annually). Bringing corporate tax rates back to 2006 levels? That would net us another $3 billion a year. Removing the federal fossil fuel subsidy? There’s $1.3 billion to work with. I could go on. Neoliberals are perfectly prepared to accept the importance of—in fact, the “right” to—education for kids between the ages of five and 17. They’re not ready to adequately fund it, mind you, and insist education should be tied to workplace-friendly outcomes. But (rhetorically, at least) neoliberals will agree that public education from Kindergarten to high school graduation is a fundamental element of a competitive economy and healthy democracy. Outside that age range, however, it’s the equivalent of a personal driver. So you’re okay with paying people to take contemporary dance degrees? As much as I think society would be vastly improved with more artists, this argument (or any number of variations on it) speaks to a broad anti-public mythology that assumes if we pay for something publicly, and make it universal, people will either not appreciate it because it’s “free” and therefore apparently without value, or they will immediately take advantage of the publicly supported opportunity to be repeatedly and completely frivolous. It’s like saying that having public health care will result in a society where we all cough on each other for fun, and suddenly everyone wants an appendectomy. In the real world that’s not how things work. What are you, some kind of radical? Much of Europe has zero or very low tuition fees. Germany experimented with limited tuition fees and them got rid of them. France has close to no tuition (though there are limited additional fees). The Nordic countries have a well-publicized, very public system of post-secondary education. South America also has a number of zero-tuition countries, including Brazil, though admission to university is limited. Chile has zero tuition for low-income students, but the current government says it intends to move toward zero tuition on a universal basis by 2018. And thanks to Bernie, it’s become an issue in the upcoming U.S. election. In fact, you might say that Canada’s decision to, with few exceptions, move in the other direction and further entrench the downloading of debt onto students and families is actually the more radical move—especially in light of the IMF’s admission that the “benefits” of neoliberalism might have been (ahem) “oversold.” Zero tuition may be a seismic shift from the failed neoliberal prescription, but that doesn’t make it radical. Some might argue it just good common sense. It’s not surprising this plan is embraced by those who have been arguing for years that low tuition fees benefit the wealthy because they can afford to pay more, and low-income kids are less likely to go to university. But this relies on two assumptions: that the progressive taxation system doesn’t exist, and that zero-tuition advocates believe the inequitable status quo is just fine. On the first: of course we should pay for higher education based on what we can afford. And the best, most fair, transparent and efficient way to pay for it—and for all our social programs—is through the tax system. Not with some sliding-scale user-fee system that borrows (badly) from the public model, and succeeds only in making post-secondary education less accessible and less representative of our entire society. As to the second assumption: society is grossly, systemically inequitable. And there is no question that access to university education is a direct reflection of the level of privilege a person enjoys. This trend doesn’t start upon high school graduation—it’s there in the deeply stratified access to child care, streaming in schools, disciplinary reports that disproportionately target students of colour, the shameful levels of Indigenous child poverty, and standardized assessments that are used as a pretext to close inner-city schools. Finally: the very fact that “free tuition” is something governments are saying they’re doing—even if they’re not—is a sign of the power of the free-tuition movement. This is encouraging, but we should be cautious that the term and the momentum isn’t co-opted as part of a broader divide-and-conquer strategy that is inherently anti-universal. The stakes are, quite simply—like current tuition fee levels—far too high. Erika Shaker is Director of Education and Outreach at the CCPA. Follow Erika on Twitter @ErikaShaker.